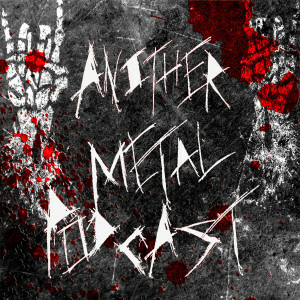 And now, episode 7 of the least Googleable metal podcast on the net. This one is fairly low down and gritty; a lot of sludge, doom, and blackened dreariness. Also, there are two return bands to the podcast with Sweden’s 2 The Gallows and their country-mates Murdryck. Yes, I play a lot of Swedish music here on Another Metal Podcast, but I can’t help it, most great metal seems to come from there. Have we figured that one out yet? Fear not, I still manage to fit Hungary, Germany, the UK, France, Norway, and even Pennsylvania into this episode’s mix, so we’re quite well rounded. Don’t forget to check out the bands in this worldwide menagerie of heaviness through the playlist links below; if they’re played here that means they have brand new music to get your paws on. Also please consider supporting this show through our Patreon campaign; I love getting these out to everyone and spreading the word on great new music, especially when it’s from new bands, and with enough support from listeners I can devote more time to doing it, meaning more and longer episodes (along with keeping them ad-free). There’s cool perks involved like early access and the chance to pick return bands so make sure to check it out and thanks in advance. But now on to the metal!